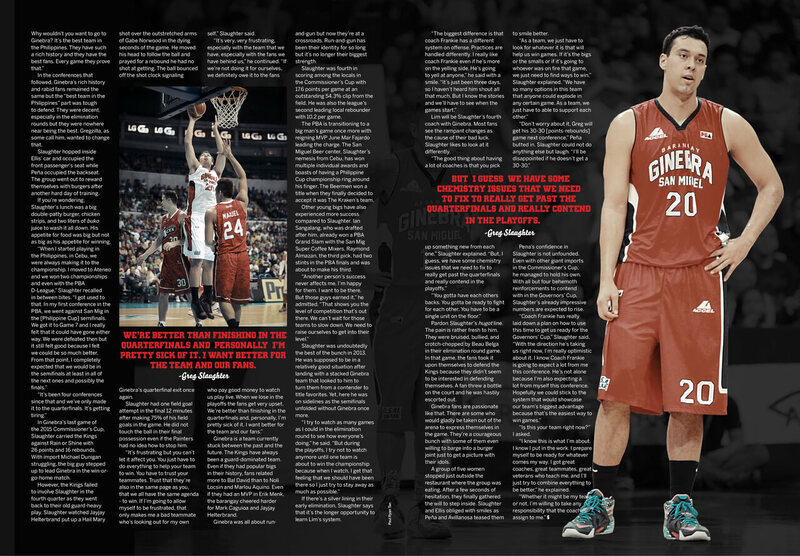 Working through another off-season of transition and introspection, Greg Slaughter’s appetite for a PBA Championship just grows bigger and bigger. 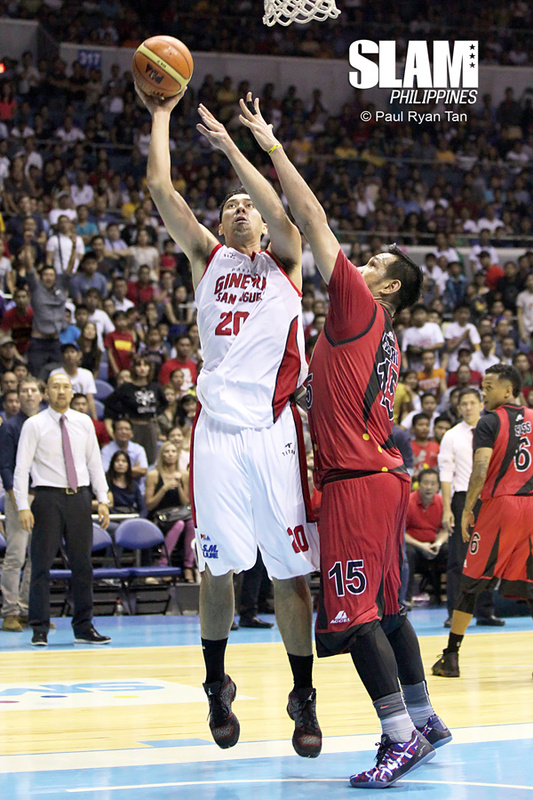 Greg Slaughter stretched his hands up over his head at the CCF Center in Pasig City on a Wednesday afternoon. It was not to give praise to the almighty as is customary in the building. Instead, the Ginebra center tried to cool down as he reached up the air-conditioning unit installed above his head as the hot April sun permeated through the walls of the building. Dorian Peña, Chris Ellis, and practice player Andrew Avillanosa surrounded Slaughter. The four wanted a few seconds of cold air on their heads. The heat was punishing but it was nowhere compared to the pain brought about by their third practice with newly installed head coach Frankie Lim. Slaughter smiled as Peña shared his thoughts on their new training regimen. Perhaps not yet comfortable to be brutally honest about training, Slaughter had a more politically correct description of it. Slaughter has played for good coaches before so he knows what he’s talking about. He spent two years with Norman Black in Ateneo, with Boyet Fernandez in NLEX. With the Kings, he learned from Ato Agustin, Juno Sauler, and Jeffrey Cariaso. The challenge now was how to translate all this learning into winning. 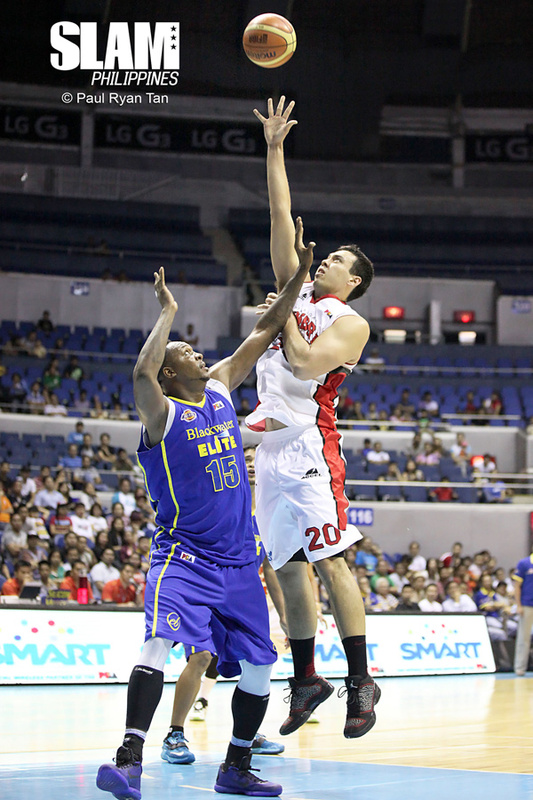 Selected first overall in the 2013 PBA Draft, Slaughter helped Ginebra make it into the 2013 Philippine Cup semifinals in his first conference as a professional. Maybe still a bit naive, the young center thought there was nowhere else to go but up. In the conferences that followed, Ginebra’s rich history and rabid fans remained the same but the “best team in the Philippines” part was tough to defend. They were decent, especially in the elimination rounds but they were nowhere near being the best. Gregzilla, as some call him, wanted to change that. Slaughter hopped inside Ellis’ car and occupied the front passenger’s seat while Peña occupied the backseat. The group went out to reward themselves with burgers after another hard day of training. If you’re wondering, Slaughter’s lunch was a big double-patty burger, chicken strips, and two liters of buko juice to wash it all down. His appetite for food was big but not as big as his appetite for winning. In Ginebra’s last game of the 2015 Commissioner’s Cup, Slaughter carried the Kings against Rain or Shine with 26 points and 16 rebounds. With import Michael Dunigan struggling, the big guy stepped up to lead Ginebra in the win-or-go-home match. However, the Kings failed to involve Slaughter in the fourth quarter as they went back to their old guard-heavy play. Slaughter watched Jayjay Helterbrand put up a Hail Mary shot over the outstretched arms of Gabe Norwood in the dying seconds of the game. He moved his head to follow the ball and prayed for a rebound he had no shot at getting. The ball bounced off the shot clock signaling Ginebra’s quarterfinal exit once again. Slaughter had one field goal attempt in the final 12 minutes after making 75% of his field goals in the game. He did not touch the ball in their final possession even if the Painters had no idea how to stop him. “It’s frustrating but you can’t let it affect you. You just have to do everything to help your team to win. You have to trust your teammates. Trust that they’re also in the same page as you, that we all have the same agenda – to win. If I’m going to allow myself to be frustrated, that only makes me a bad teammate who’s looking out for my own self,” Slaughter said. Ginebra is a team currently stuck between the past and the future. The Kings have always been a guard-dominated team. Even if they had popular bigs in their history, fans related more to Bal David than to Noli Locsin and Marlou Aquino. Even if they had an MVP in Erik Menk, the barangay cheered harder for Mark Caguioa and Jayjay Helterbrand. 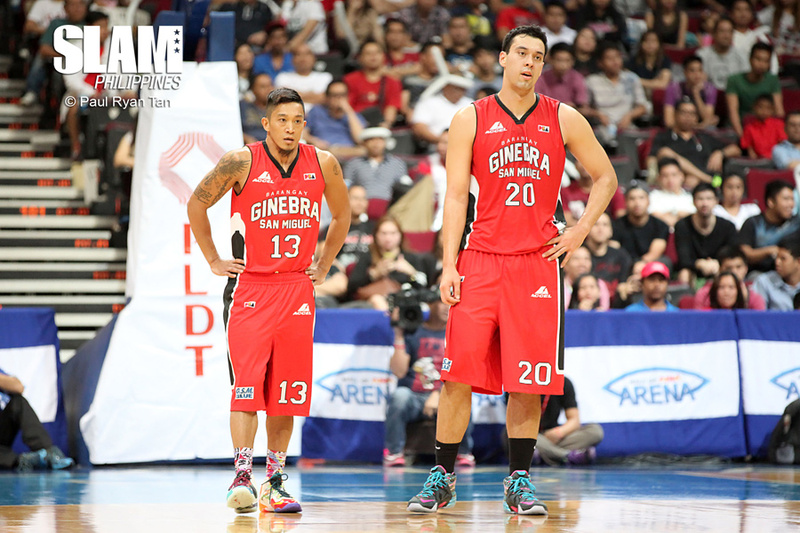 Ginebra was all about run-and-gun but now they’re at a crossroads. Run-and-gun has been their identity for so long but it’s no longer their biggest strength. Slaughter was fourth in scoring among the locals in the Commissioner’s Cup with 17.6 points per game at an outstanding 54.3% clip from the field. He was also the league’s second leading local rebounder with 10.2 per game. 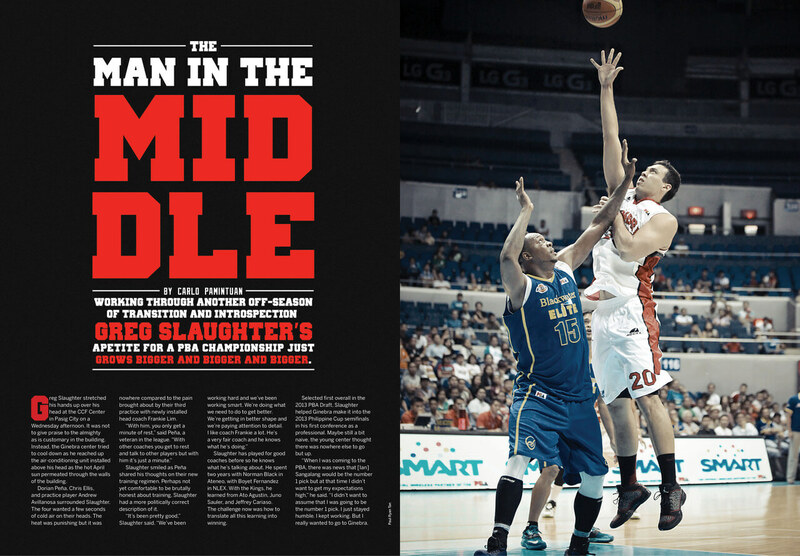 The PBA is transitioning to a big man’s game once more with reigning MVP June Mar Fajardo leading the charge. The San Miguel Beer center, Slaughter’s nemesis from Cebu, has won multiple individual awards and boasts of having a Philippine Cup championship ring around his finger. The Beermen won a title when they finally decided to accept it was The Kraken’s team. Other young bigs have also experienced more success compared to Slaughter. Ian Sangalang, who was drafted after him, already won a PBA Grand Slam with the San Mig Super Coffee Mixers. Raymond Almazan, the third pick, had two stints in the PBA finals and was about to make his third. Slaughter was undoubtedly the best of the bunch in 2013. He was supposed to be in a relatively good situation after landing with a stacked Ginebra team that looked to him to turn them from a contender to title favorites. Yet, here he was on sidelines as the semifinals unfolded without Ginebra once more. If there’s a silver lining in their early elimination, Slaughter says that it’s the longer opportunity to learn Lim’s system. Lim will be Slaughter’s fourth coach with Ginebra. Most fans see the rampant changes as the cause of their bad luck. Slaughter likes to look at it differently. Pardon Slaughter’s hugot line. The pain is rather fresh to him. They were bruised, bullied, and crotch-chopped by Beau Belga in their elimination round game. In that game, the fans took it upon themselves to defend the Kings because they didn’t seem to be interested in defending themselves. A fan threw a bottle on the court and he was hastily escorted out. Ginebra fans are passionate like that. There are some who would gladly be taken out of the arena to express themselves in the game. They’re a courageous bunch with some of them even willing to barge into a burger joint just to get a picture with their idols. A group of five women stopped just outside the restaurant where the group was eating. After a few seconds of hesitation, they finally gathered the will to step inside. Slaughter and Ellis obliged with smiles as Peña and Avillanosa teased them to smile better. Pena’s confidence in Slaughter is not unfounded. Even with other giant imports in the Commissioner’s Cup, he managed to hold his own. With all but four behemoth reinforcements to contend with in the Governors’ Cup, Slaughter’s already impressive numbers are expected to rise. “Is this your team right now?” I asked. “I know this is what I’m about. I know I put in the work. I prepare myself to be ready for whatever comes my way. I got great coaches, great teammates, great veterans who teach me, and I’ll just try to combine everything to be better,” he explained.